ANATOMY of a Plastic Girl (Chris & Cosey Remix) [Chris Carter & Cosey Fanni Tutti] by The Opiates (Billie Ray Martin & Robert Solheim) on their EP Rainy Days and Remixes. Wolfgang Tillmans. Untitled, (2006). Photograph. 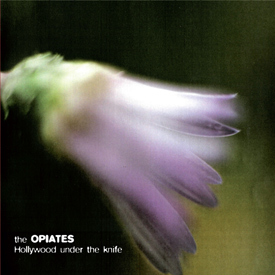 On cover of The Opiates CD Hollywood under the knife, (2011). Turner Prize winner Wolfgang Tillmans is no stranger to collaborations with musicians, having lent his talents to sleeve design and video direction for Pet Shop Boys, REM and Goldfrapp. Now his work forms the visual presentation for The Opiates debut album. The Opiates are musician Robert Solheim and singer / songwriter Billie Ray Martin. A set of previously unseen and unpublished photographs adorn the sleeve and booklet for their forthcoming album Hollywood Under The Knife as well as their EP, also to be released, Rainy Days and Remixes. A long-time fan of the Opiates’ singer Billie Ray Martin’s work, Wolfgang Tillmans has photographed her twice and chose her as ‘most influential woman’ as part of i-D Magazine’s 25th birthday issue and celebrations. For ‘Hollywood Under The Knife’, Tillmans opened his entire archive and gave The Opiates unprecedented access to choose their favourite images. Plans are afoot to stage a performance/play entitled ‘Anatomy of a Plastic Girl’, a multimedia performance piece using Wolfgang Tillmans’ images as well as multimedia elements, in 2012. Born in Remscheid Germany, Wolfgang Tillmans was the winner of the Turner prize in 2000. Tillmans has been the subject of numerous solo exhibitions worldwide, including the Serpentine Gallery, London, UK; The Museum of Contemporary Art Chicago, Chicago, IL; The Hammer Museum, Los Angeles, CA; Museo Tamayo, Mexico City, Mexico; the Hirshhorn Museum, Washington, DC; PS1 Contemporary Art Center / MoMA New York, NY; the Tate Britain, London, UK; Stedlijk Museum, Amsterdam, Netherlands, and the Walker Art Gallery, Liverpool, UK. Tillmans was recently included in the 3rd Moscow Biennale of Contemporary Art, Moscow, Russia; the 53rd Venice Biennial in 2009, Venice, Italy; ʻHolbein to Tillmansʼ at the Schaulager, Basel, Switzerland; and Life on Mars: Carnegie International 2008 at the Carnegie Museum of Art, Pittsburgh, PA. In June, Hatje Cantz will release, for the first time in a single publication, a new monograph of the artistʼs abstract photographs titled Abstract Pictures. He lives and works in London and Berlin. Dubbed by the press as ‘The Carpenters of Electro’, The Opiates explore paths pioneered by the Chicago house and Detroit techno heroes, (not least Electribe 101), with the aim of taking things forward a step or two. Kraftwerk and Yazoo have been mentioned as influences. Wolfgang Tillmans. 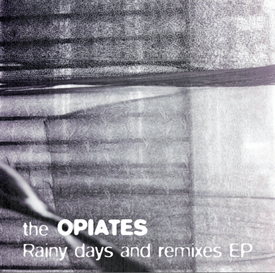 Photograph utilised for The Opiates Rainy days and remixes EP, (2011). Billie Ray Martin and Robert Solheim of the Opiates selected images from Wolfgang Tilmans’ archive, with the following parallel of Hollywood photographs to the Hollywood misfits in the songs.